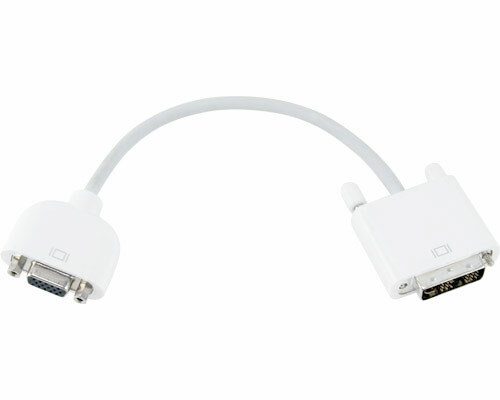 Original Apple DVI to VGA adapter cable designed plug into any Apple computer with a full size DVI socket to present a female VGA socket. This is not suitable for 13" MacBooks or iBooks which sport a mini-DVI or mini-VGA connector. This is a used tested part from a recycled Mac.